Angi Home Improvement LLC Is A Home Remodeling Company Serving Union County, New Jersey. 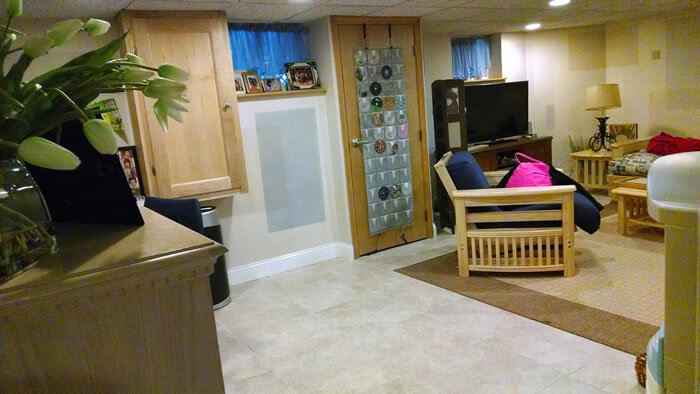 Basement Finishing and Remodeling in Union County, Morris County, Essex county NJ. Have you just moved into a new home in the Union County area? Are you looking to transform an existing basement into a beautiful new living or recreational space? Remodeling your basement is an excellent choice for a home remodeling project because it will literally double your available usable space. You can add a bathroom, add a living room, add a bedroom or two. Finishing your basement also contributes to a higher resale value of your home if you are planning to fix your home up and then put if for sale, if you’re not planning on selling your basement remodel will give you more enjoyment, comfort, and use out of your home. Because of all the available space your basement offers, there are several directions a homeowner can choose to go with their basement remodel. You may wish to turn these often unused areas of the home into more beautiful and functional living spaces for your family or maybe a rental suite? If living space is the goal there is an entirely different set of building codes that will apply so it’s important to decide what you’d like to do with your basement before starting the project. Generally, Basement Finishing projects are preferable to home additions because they are less complex. Your basement likely won’t need any exterior construction, aside from a window installation or two (egress windows are required to consider a basement “living space”). Your basement likely already has plumbing and electrical systems already in place, which can help keep costs down. Finishing basements is a cornerstone of our business at Angi Home Improvement LLC and something our skilled carpenters take great pride in. There are many different directions we could go with your basement such as adding a home workout area, additional kitchen or bathroom, family room or playroom, and we can even add windows and proper lighting to brighten it all up. Angi Home Improvement LLC will work with you to design and build a basement that suits your living needs. Why Choose Angi Home Improvement LLC For Your Basement Project? When you choose to work with Angi Home Improvement for your basement finishing project you are partnering with a small team of dedicated craftsman. 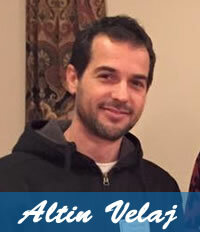 Altin Velaj (Tino) and his team will treat your home with care and attention. Our mission is to provide you with a fantastic remodeling experience and a brand new space in your home that your family can enjoy for many years. Altin is an experienced craftsman and has the managerial skills, the organizational skills, and the local trades connections to complete any residential construction or remodeling project in a timely fashion and to professional standards that exceed our competition. Let Angi Home Improvement LLC show you why we we’re different.